Why are there so many Smart Home technologies? The smart home, where everything works together seamlessly, has been a (science fiction-powered) dream for decades – at least to those who are not willing to spend over 50.000 euros on such a system to have their entire home rewired. In the meantime, a lot of our everyday devices have become ‘smart’, or at least wireless – from our remote controlled TVs to thermostats, lights, socket switches and blinds. All those systems, however, can’t work together in any way. So, ‘universal’ remotes came along. Indeed, ‘universal’ – between quotes – because all they control are Infrared devices, essentially focusing on TV and related AV equipment, but leaving everything else out of the equation. Why? Because those used different wireless smart home technologies. So why do devices work on different smart home technologies? Wouldn’t it be way easier if they all worked on the same technology? In short, yes, it would be easier. However, it would not be technologically feasible. If you also add to the equation costs and legacy, you are starting to approach the heart of the problem. Can’t we all use WiFi? Let’s take WiFi for example. 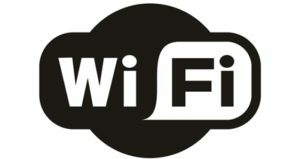 WiFi is a great technology used across phones, laptops and even TVs. So you might say, why not make everything WiFi? The thing is, WiFi chips are relatively expensive. Next to that, WiFi is way too power-hungry to make a battery-powered lock or sensor last for more than just a few days. In the end, WiFi is made for large transfers, like photos, over a relatively short range. Your (distantly placed) sensors need the exact opposite. 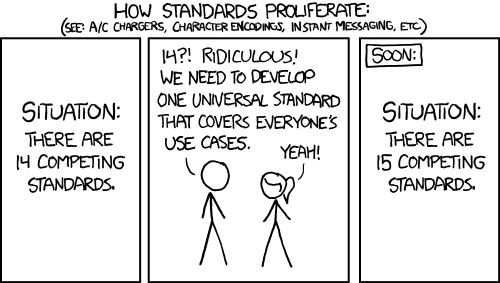 What about ZigBee and Z-Wave? So this is where newer smart home technologies like ZigBee and Z-Wave kick in. ZigBee in particular is actually ‘low-power, low-bandwidth WiFi’. So why Z-Wave also around? For starters, they emerged around the same time, essentially being two solutions to a kind-of similar problem. And, as often with two good solutions, both stuck around. But there is more. ZigBee and Z-Wave differ a lot in functionality. ZigBee really is a low-powered WiFi technology, offering similar versatility as its full-powered sibling. Z-Wave on the other hand is much more controlled, and even the (software) protocol that runs on top of the wireless technology is standardised. 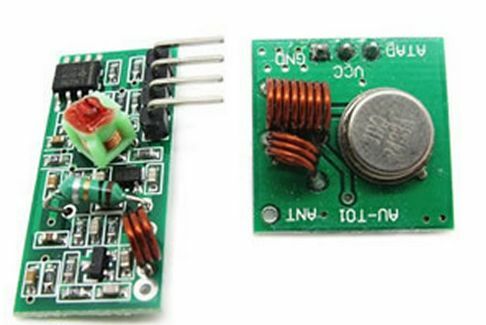 This makes ZigBee more versatile, but also introduces longer development times, as well as problems when devices from different manufacturers need to work together. It seems just running on the same smart home technology is not enough, the commands that are sent over the technology – the communication protocol – also need to be the same. Z-Wave controls and monitors this behavior, offering better interoperability, where ZigBee offers more freedom and versatility. And why are we are still using old tech? So that briefly explains ZigBee and Z-Wave, each with their pros and cons. What about the rest? Well, TVs and some other electronics are primarily stuck with Infrared (which is the worst, as it requires a clear line-of-sight) because of legacy and interoperability. Some of them are switching however, combining Infrared with WiFi and sometimes RF (radiofrequency). Which leaves the latter: RF, mainly on 433 MHz and 868 MHz. Why are those older home technologies still around? Three reasons. One: they are really mature and therefore easy to implement in simple applications such as switches. Two: they provide a relatively good range (also indoors), and require only small amounts of power to operate. And three: the chips are just really cheap. Ever seen 3 switches and a remote for 10 euros at a discount retailer? At current chipset pricing, that is plainly impossible with WiFi, Bluetooth, Z-Wave or even ZigBee. That is, in short, why all these different smart home technologies exist: they each serve their own niche, offering different features, functionality, pricing and value, thereby matching the needs of different devices and applications. That is why they will still stick around for a while: at the moment, there is just not one single technology that could replace them all. So are we all doomed to suffer from a wireless-technology-mess? Of course not! Devices like Homey combine these different technologies. This way, the different devices become easy to control, and you can even let them talk to each other via automation – via Homey. 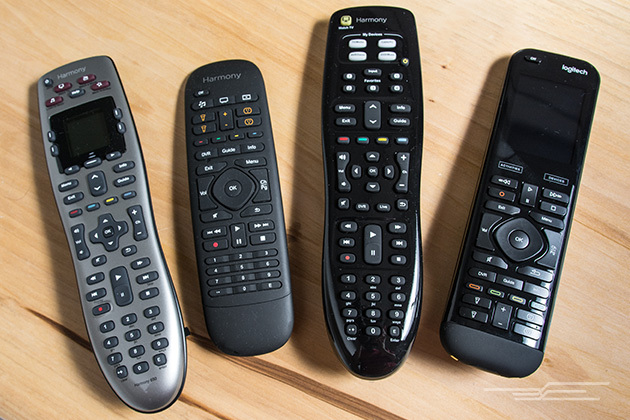 Homey is the universal connector that the ‘universal’ remote could never be, combining 8 different wireless technologies. This makes Homey able to connect to thousands of devices and services. So stop worrying about technologies, and start enjoying your gear! Focus on the things that matter most, and let Homey handle the rest.